AWS is launching a new Ground Station service allowing customers to purchase capacity at a satellite ground station on a pay-as-you-go basis. The company says that while the cost of launching a satellite into low-earth orbit has come down, capturing data from the satellite and transmitting it to the cloud is more difficult and expensive than it should be. The new AWS Ground Station service begins operations with a pair of ground stations, and plans to have 12 in operation by mid-2019. Each ground station is associated with a particular AWS Region; the raw analog data from the satellite is processed by our modem digitizer into a data stream (in what is formally known as VITA 49 baseband or VITA 49 RF over IP data streams) and routed to an EC2 instance that is responsible for doing the signal processing to turn it into a byte stream. This means that customers don’t need to build or maintain antennas in order to capture data from satellite resources. Amazon also announced a strategic collaboration to integrate the new AWS Ground Station service with Lockheed Martin’s new Verge antenna service, which is a distributed network of low-cost receivers. Each Verge antenna costs under $20,000 and uses common, readily-available parts (COTS hardware). Under4 the partnership, Lockheed Martin Verge customers benefit from being able to upload satellite commands and data through AWS Ground Station and to quickly download large amounts of data over the high-speed AWS Ground Station network. Amazon is launching a private edition of AWS Marketplace that lets enterprises create a custom digital catalog of pre-approved software products for their employees. AWS Marketplace currently offers 35 categories and more than 4,500 software listings from more than 1,400 Independent Software Vendors (ISVs). AWS says its customers use over 650 million hours a month of Amazon EC2 for products in AWS Marketplace and have more than 950,000 active software subscriptions. The new Private Marketplace makes it easier for enterprises to deliver licensed software to their employees. Amazon Comprehend Medical is a new natural language processing service that uses real-time APIs forr language detection, entity categorization, sentiment analysis, and key phrase extraction. The service could be used by medial organization to extract actionable data from patient records. AWS is launching more powerful machine learning instances based on NVIDIA GPUs - Amazon EC2 P3 instances now offer up to 8 NVIDIA Tesla V100 GPUs and up to 100 Gbps of networking throughput. There are now 180 container software products on offer in the AWS Marketplace in categories such as high performance computing, security, and developer tools. Amgen, one of the world’s leading biotechnology companies, has selected AWS for the vast majority of its cloud infrastructure. Amgen uses AWS’s compute, storage, database, analytics, and machine learning services, to support the development of new applications and to automate processes in the cloud. Korean Air Lines Co. is going "all-in" of AWS and plans to shut down its private data centers over the next three years. Korean Air plans to leverage Amazon Simple Storage Services (Amazon S3) and AWS data warehousing and analytics services, such as Amazon Redshift and Amazon Athena, for its data lake project. As part of Korean Air’s all-in journey to AWS, the airline is migrating production workloads including its website, loyalty program, flight operations, and other mission-critical operations to AWS. AWS IoT Events is a new, fully managed IoT service for detecting and responding to events from IoT sensors and applications. AWS says its service can detect events across thousands of IoT sensors sending telemetry data, such as temperature from a freezer, humidity from respiratory equipment, or belt speed on a motor. AWS IoT Greengrass, which enables local compute, messaging, data caching, sync, and ML inference capabilities on edge devices, now supports connectors to third-party applications and AWS services, hardware root of trust private key storage, and isolation and permission settings. the ADVA FSP 150-XG480, is a 1.6 Tbps (800 Gbps full-duplex) service aggregation device designed to support simple, cost-efficient migration from 1 to 10GbE services. The ADVA FSP 150-XG480 maps 10GbE and 25GbE into 100 Gbps aggregated bandwidth, which helps communication service providers (CSPs) scale their edge networks to accommodate future wholesale, business, mobile fronthaul and backhaul service needs. ADVA says its solution delivers high-density service aggregation for the most resilient SLA-based Carrier Ethernet services. The ADVA FSP 150-XG480 also supports hardware-based time distribution, enabling ultra-precise frequency and phase synchronization. It delivers a total of 800 Gbps of full-duplex switching capacity. the ADVA FSP 150-Z4806, which enables data center operators to aggregate local traffic with a comprehensive set of Layer 2, Layer 3 and tunneling protocols to interconnect through any network. ADVA says the device can easily scale to accommodate a huge number of 10 and 100 Gbps services while keeping cost, space and power consumption to a minimum. The ADVA FSP 150-Z4806 protects services against network or device failures with multiple resilience mechanisms supported by a rich set of QoS and multi-layer OAM capabilities. The new products will be available in the first quarter of 2019. The Optical Transport WDM equipment market grew 15 percent year-over-year in 3Q 2018, according to a new report from Dell'Oro Group. coherent wavelength shipments grew 30 percent. Amphenol Corporation agreed to acquire SSI Controls Technologies (SSI), the sensor manufacturing division of SSI Technologies, Inc., for approximately $400 million plus a performance-related contingent payment. SSI is a leading designer and manufacturer of sensors and sensing solutions for the global automotive and industrial markets, with annual sales of approximately $180 million. The company is based in Wisconsin and operates manufacturing facilities there as well as in the Czech Republic. It employs approximately 900 people worldwide. Amphenol already ranks as one of the world’s largest designers, manufacturers and marketers of electrical, electronic and fiber optic connectors, interconnect systems, antennas, sensors and sensor-based products and coaxial and high-speed specialty cable. The company has about 70,000 employees. Amphenol has acquired about 40 companies since 2008. 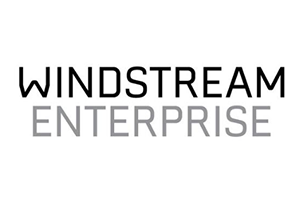 Windstream Enterprise is expanding the number of network on ramps to meet the demands of customers who need dedicated, predictable connectivity to third-party cloud service providers (CSPs). The company said its newest route anticipates continued growth and importance of Dallas-Fort Worth. Expansion of this route affords customers access to major markets in Texas as well as easy access to other growing markets like Phoenix, Las Vegas and cities in Silicon Valley. Windstream's Cloud Connect service provides highly-available and fault-tolerant connections directly to leading CSPs. Tango Networks has acquired Simetric Telecom, a UK-based provider of mobile services and telecommunications solutions. Financial terms were not disclosed. Simetric operates a next-generation network that seamlessly blends fixed communications and mobile services to deliver unified telecommunications. The company’s Mobile-X service provides enterprises with converged mobile communications encompassing the full enterprise telephony feature set. The company was founded in 2009. Tango Networks recently launched a cloud-powered enterprise mobile communications service, Kinetic Cloud, offering Mobile Unified Communications, mobile communications recording compliance, automated enterprise application mobile integration, and Enterprise Text Messaging. Samsung Electronics America announced commercial availability of new consumer solid state drives (SSD) — the Samsung 860 QVO SSD — featuring up to four terabytes (TB) of storage capacity at "approachable prices." MSRP starts at $149.99 for a 1TB model. The new drives leverage the company’s high-density 4-bit multi-level cell (MLC) NAND flash architecture, SATA interface and 2.5-inch form factor. Sequential read and write speeds of up to 550 MB/s and 520 MB/s, respectively.